For those who may not have noticed, i’ve been writing Surface - the CNET design blog on their new blog network on the side. 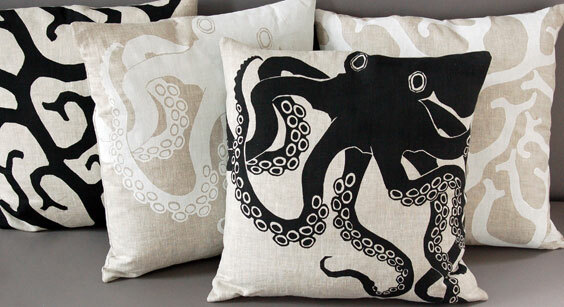 I was writing about these Dermond Peterson pillows over there earlier today, and was so smitten by them i had to share them here as well. 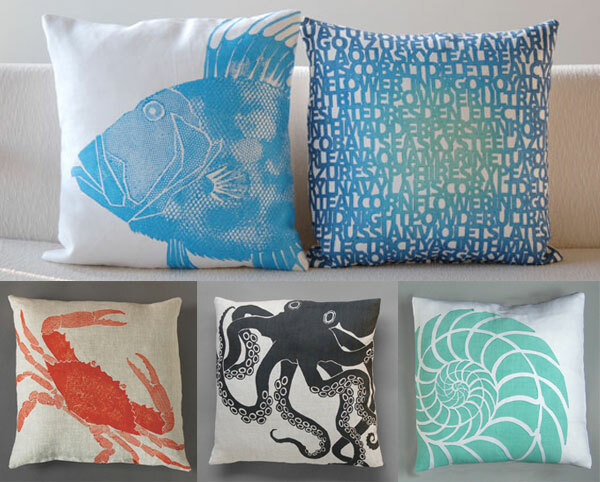 Founded by two sisters in 2001, Dermond Peterson has a great seaside line this season with hand printed aquatic creatures and motifs… i’m particularly craving the black octopus… isn’t it so very NOTCOT? and I bought one set and would like to buy more note cards, are they currently available? I have been searching everywhere for these pillows…where can I buy them!i have not had any luck with any of the locations listed on the Dermond Peterson site. Thanks.